The federal Tick-Borne Disease Working Group was established by 2016’s 21st Century Cures Act. The idea was to bring together a diverse set of stakeholders, including treating physicians, researchers, patients, advocates and government officials to help inform federal policy regarding Lyme and other tick-borne diseases. The US Department of Health and Human services named members of the Working Group last week. LymeDisease.org supports the concept of the federal working group. However, we feel HHS made a big mistake by appointing Dr. Gary Wormser, due primarily to his financial conflicts of interest with companies who stand to make money from the panel’s decisions. LymeDisease.org President and Founder Phyllis Mervine sent the following letter to Dr. Richard Wolitski, Designated Federal Officer of the Tick-Borne Disease Working Group. I am writing on behalf of LymeDisease.org to protest the appointment of Gary Wormser, MD, to the Tick-Borne Disease Working Group and to request that he be replaced. LymeDisease.org is the largest communications network representing Lyme disease patients in the United States, with over 4 million unique visitors to our website each year. We are the most trusted source of information on Lyme disease for millions of patients. Dr. Wormser has substantial conflicts of interests with lab companies and other commercial interests. In a recent article he disclosed conflicts of interest with Immunetics, Inc. (the developer of the C6 Lyme test, which he promotes). The C6 Lyme test is known to be highly insensitive, yet the IDSA guidelines require positive lab tests in order for patients to be diagnosed and treated for Lyme disease. This means that patients must obtain repeated blood tests to obtain positive results, which helps drive up the profits of testing companies such as Immunetics. Dr. Wormser cannot sit on this panel without these conflicts of interest influencing his messages. He does not represent the interests of an independent, truth-seeking researcher, but rather the commercial interests of profit-making companies. As such, he has no place in this Working Group. The fact that Dr. Wormser is the only panel member with a background in Lyme testing is also problematic. Several other professionals who were recommended for the Working Group—including Dr. Raphael Stricker, Dr. Sam Donta, and Dr. Elizabeth Maloney—could fill the lab expertise role without conflicts of interest with laboratory companies. The selection of Dr. Wormser for the Working Group sends a strong signal of commercially motivated bias. 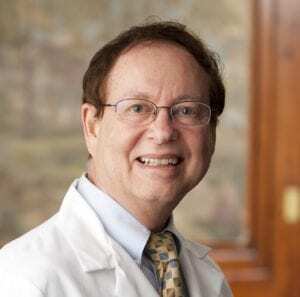 Another major concern is that Dr. Wormser has received a large share of NIH grants for Lyme-related research and is influential in the selection of grant recipients. This will make it difficult for other researchers on the panel to be candid, fearing repercussions on their ability to obtain future grants. Deciding the direction of research and the needs for funding is likely to be an important function of the Working Group. Now-retired UC Davis researcher Stephen Barthold testified before a Congressional committee that Lyme research that doesn’t conform to the IDSA paradigm does not receive funding, for political reasons. We believe that having Dr. Wormser on the Working Group will perpetuate that injustice. As chairman of the Infectious Diseases Society of America (IDSA) Lyme guidelines revision panel, Dr. Wormser was a defendant in the 2006 antitrust investigation of the IDSA by then-Attorney General Richard Blumenthal of Connecticut. The IDSA is a medical specialty society that represents the interests of its members, and the members who deal with Lyme disease are primarily researchers. Those guidelines leave many patients chronically ill. Patients do not trust the IDSA and do not want to be treated according to the IDSA guidelines. Yet the IDSA guidelines are influential and are used by state medical boards in disciplinary proceedings against nonconforming physicians and by insurers to deny essential care to patients. This has a chilling effect on the willingness of doctors to stray from the IDSA guidelines or even to accept people with chronic Lyme disease as patients. Dr. Wormser is featured in Under Our Skin, a compelling documentary about the ravages of chronic Lyme disease. In the film, he insists that there is no objective evidence that chronic Lyme disease exists and trivializes the effect of the illness on patients. He is likely to be a lightning rod for controversy and his continued presence on the Working Group will undermine all efforts to gain the public trust. To sum up, LymeDisease.org speaks for a large community of patients in requesting that you remove Dr. Wormser from the Working Group. We urge you to replace him with someone less biased and with fewer financial conflicts of interest. We advance three nominees to replace his position: Dr. Raphael Stricker, Dr. Elizabeth Maloney, and Dr. Sam Donta. We believe materials on these individuals has already been forwarded to you as part of the nomination process. Johnson L, Stricker RB. Attorney General forces Infectious Diseases Society of America to redo Lyme guidelines due to flawed development process. J Med Ethics. 2009 May;35(5):283-8. Available from: http://www.ncbi.nlm.nih.gov/pubmed/19407031 http://jme.bmj.com/content/35/5/283. Is CDC compromised by conflicts of interest? LYMEPOLICYWONK: IDSA Lyme Conflicts of Interest–Tell me more! Next Post » CDC website removes link to IDSA guidelines. Just lipstick on a pig? Thank you for your continued advocacy on behalf of those of us suffering from tick-borne illnesses. Time to get a petition going to protest his appointment. Phyllis, well done 😉 You summed it up with facts galore; thank you! sending a msg to Dr Wolitski now. Thanks Phyllis Mervine for that great work. I sent mine in and received a letter from Mr. Wolitski. I can’t wait to see your letter. Thank you for speaking on our behalf. We have to unite and file class action suits against those who want us dead! Medicare, Medicaid and insurance companies refuse to pay for TBIs need to be sued! Now we will not be able to deduct medical expenses from our taxes???!!!! REALLY WANT US DEAD!!! If there are truly over 300,000 of us diagnosed with TBIs. we are REALLY STUPID if we do not unite and start fighting for our lives and for the lives of those we love. In my opinion money should be used for treatment, not just for committees and treatment. Seems every time there is a new committee there is just more conflict of interest or some other waste of money. Years are flying by, people are still denied treatment, more are becoming sick, many are dying. We are NOT making any progress, just correcting and re correcting conflict of interests! YES, I am frustrated! Please let us know what response you receive from Dr. Wolitski. I sent in my written protest. I hope that everyone else reading here has done so, as well. Nothing will ever get done without a groundswell of voices. We pay the salaries of all these public officials who are entrusted with protecting the public’s health. We have a right to demand accountability and should do so in large numbers. Keep fighting the good fight! Millions of people are benefiting from your work. Thank u Phillis!! I am so thankful to have people like u behind us. Dr Wormser definitely sounds as though his appointment will delay valid diagnosis and treatment to the entire whole of Lyme disease patients. This journey of Lyme disease to the patient, is difficult enough, without worrying about whether you are being treated with unbiased guidelines. Thank you “Lyme Disease.org” for being a watch dog for such as this. Thank you for all your hard work and helping everyone with this horrible disease. Best thing I have heard in a long time!!! This is really great news. “We have had 1 person resign, Gary Wormser, for PERSONAL reasons”. they have nominated his replacement, going thru channels; when approved by secretary of HHS; they will announce his/her name then. Personal indeed! I am so happy that our collective voices made a difference, and so happy that wonderful people like lymedisease.org are working on our behalf. I would love to have been a fly on the wall to hear how that conversation went down!